During a Volcom design field trip to Tokyo in 2015, one of their designers came across a killer ‘zine that made an impression with it’s raw, original style. The mystery man behind this intriguing piece of handmade printed matter was artist and musician Tetsunori Tawaraya. With a bit of research, the design team managed to track him down, connect, and start working out plans for a collaboration. 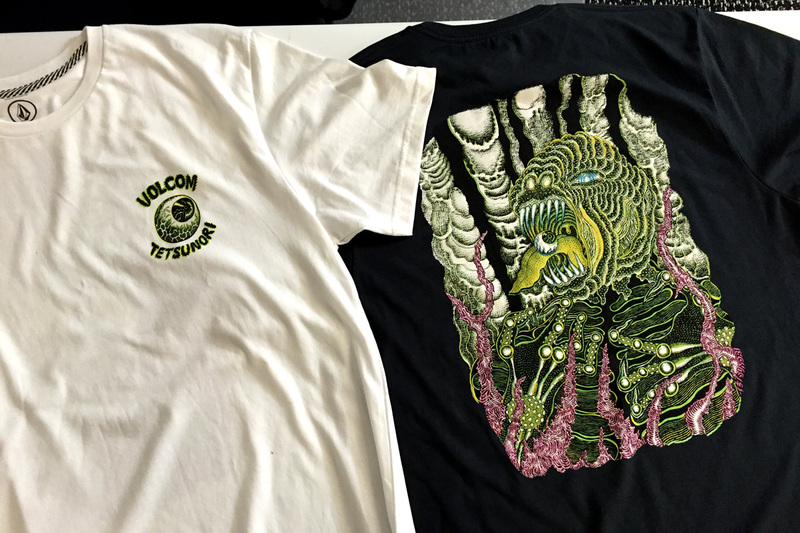 The following March, the Volcom design team headed back to Japan and was finally able to meet Tetsunori in person, where he showed them his progress on the Volcom X Tetsunori artwork. After the artwork was completed and the details of the capsule collection were sorted, the design team took one more trip to Tokyo, this time to hand deliver samples of the finished product to Testunori. He was stoked! 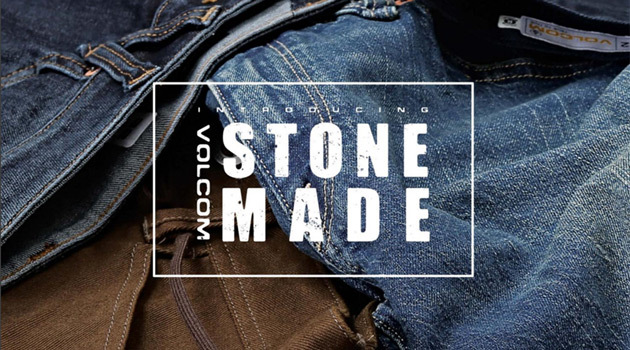 We recently checked out some pieces from Volcom’s Tetsunori collection (which includes t-shirts, hats, and a button-down shirt), and they’re pretty rad. 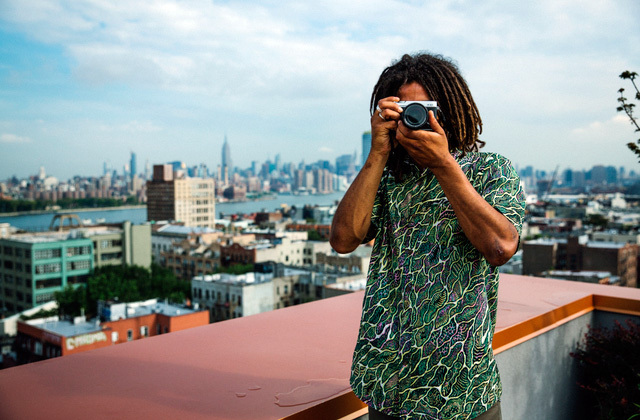 The woven shirt pictured above features a special wet print pattern process that energizes the vivid coloring, and it’s a definite head-turner. The Tetsunori Eye Cap is another favorite of mine, featuring custom Tetsunori multi-colored embroidered eyeball art on a black snap back. You can check out the entire Tetsunori collection here.